There's nothing worse than getting stuck in your knitting because you've discovered a mistake and you don't know what to do to fix it! 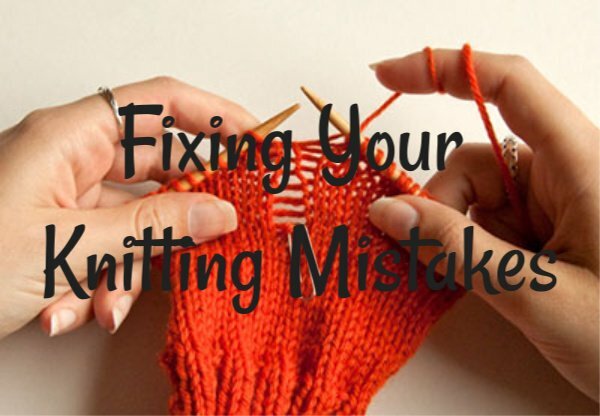 In this class we will cover the most common knitting mistakes, how to fix them, & ways to prevent them in the first place. We'll show you how to pick up a dropped stitch in garter stitch and stockinette stitch, how to un- knit to repair a mistake in that row or the row below, how to Rip IT - if the mistake is further down and you need to rip back. You will be able to fix any error, and have confidence to tackle more challenging projects in the future. This is for an advanced beginner student who has done at least a couple projects, and knows how to knit, purl, cast on and bind off. There is homework before class - come to class with completed swatches to get the best experience. Time permitted we will review other tips and tricks- including joining yarns, weaving in ends, etc. In addition, bring your current "mistakes" and challenges and time permitting, we will address those at the end of the class. Homework for class- click here!